Here at Beach Rentals West Maui we understand what makes a luxury vacation home right for you. We make it our business to find a vacation rental that meets all of your needs and goes above and beyond your expectations. By providing the finest in vacation rentals we can ensure that your vacation is a success no matter where you decide to stay. When you are staying in Condo Rentals West Maui Vacation Rentals it is impossible to be bored. You will find activities and attractions for you and your significant other to your entire family. There will also be many restaurants that will tempt your taste buds. 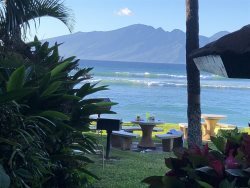 So what are you waiting for, book online today and get out and enjoy a Condo Rentals West Maui Vacation Rentals in Lahaina, Maui Vacation! Your total rental charges are fully refundable (less $125 bookkeeping fee) if you cancel your reservation on or 60 days before the date of your arrival. If you cancel after that date, only the rental charges are nonrefundable and forfeited in full, unless we are able to re-book the unit for the same dates, time and conditions as your reservation. To recoup the costs of nonrefundable travel expenses, we encourage you to purchase Trip Cancelation Insurance.